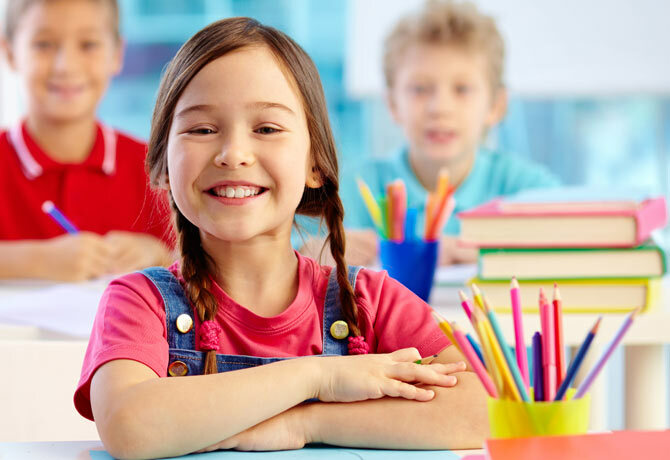 Getting kids ready for back-to-school takes roughly the same level of planning and commitment as the Allies invasion of Normandy and is only slightly less expensive. Unfortunately for Eisenhower, neither Google Calendar nor the Cozi Family Organizer were available back then, so the Allies had to rely on pen and paper and Morse code to keep everyone in the loop. Fortunately for us, there are a multitude of apps to help us stay organized. 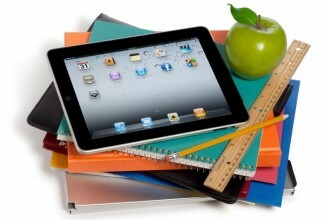 If you’re getting ready for back-to-school, these apps can help. For most kids, the first day of school means big changes in routine and adjusting everything from snack time to naps. For some kids it’s also a cause for nervousness or anxiety, because they’re out in the big wide world for the first time without a parent or caregiver. “iStoryTime Kids Book – My First Day of School” (iOS; 99 cents) focuses on Charlie’s first day. He’s nervous but soon learns there’s a lot to look forward to and answers questions a lot of kids might have about their first day. “Hurray for Pre-K” (iPad only; $1.99) lets you personalize the story to make it feel even more comfortable for your child. It even uses photos of kids in class so your little one can see what to expect. Little Critter gets ready for his first day in Mercer Mayer’s interactive book, “First Day of School” (iOS, Android; $1.99). Kids follow along as he chooses his clothes, his lunch and gets on the bus. Kids can choose three different reading options and tap to tally all the spiders and mice hidden in the illustrations. My daughters were tired of sandwiches within the first couple of weeks of school and coming up with alternatives that were nutritious and delicious was sometimes a challenge. “LaLa Lunchbox” (iOS; free) comes to your rescue by combining forces. Kids select foods for their lunches (or any meal for that matter) by picking monsters, colors and sounds which then becomes a handy dandy grocery list for you. Kids are both empowered by being part of the process and then accountable for their choices, so there’s no good excuse for not eating their own selections. Parents seem to be of two camps when it comes to buying school supplies: love it or hate it – there’s no middle ground. I loved it. My daughters and I had a blast picking out notebooks and pencil cases, backpacks and pencils. So. Much. Fun. The downside of course is that if you’re not careful, that list can add up in a hurry and end up costing as much as your first car. ‘RetailMeNot” (iOS, Android; free) offers coupons and deals on school supplies to help keep you within your budget. Simply type “school supplies” in the search bar and the app provides a list of coupons and deals from both online and traditional brick and mortar stores, including Amazon, Wal Mart, Target, Blick, Toys R Us and Office Depot. Once you’ve got the kids out the door, the challenge becomes keeping things organized. “Cozi Family Organizer” (iOS, Android, Amazon; free) is the app dreams are made of. Well, dreams and software but you get my meaning. Keep everyone’s schedules, activities and appointments in one convenient place and link across all your devices. You can create and share chores, grocery lists and even store your recipes so meal prep is easier. “TeamSnap” (iOS, Android; free) is ideal if you find yourself coaching soccer or are parent assistant for Glee Club. Keep track of practices, games, rehearsals, performances and whose turn it is to bring snacks all through this user friendly app. Users can even send play by play action to family and friends that couldn’t make it to the game.